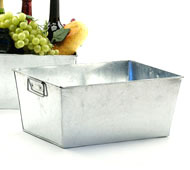 This personalized galvanized tin tub has so many uses! It can also be personalized with your boat name, vacation home or zip code. it is perfect to hold drinks, popcorn, flowers, towels...you name it! 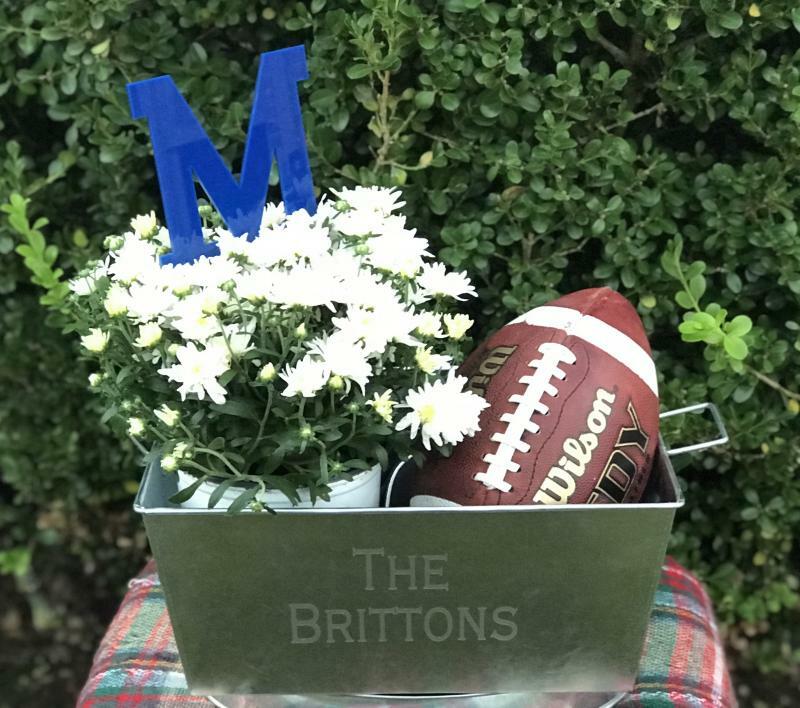 This piece is great for tailgating and casual entertaining. Please note: This item is rustic in nature and will not all be the same. This item is NOT dishwasher safe. Hand washing with mild detergent is recommended. Measures 14"w x 10"h x 6"d.